Yangju became Sister city with Henrico County in 2008. 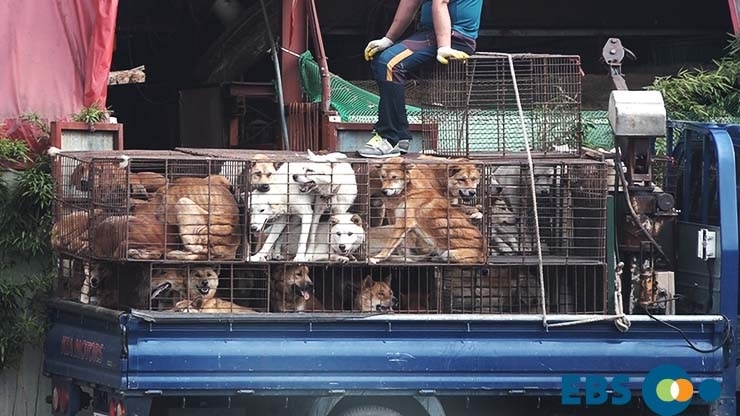 In Yangju, there are countless dog slaughterhouses, markets and restaurants where the dogs, who are tortured their entire lives, end up being slaughtered in the most inhumane ways, such as by electrocution, hanging or beating; and then thrown into boiling water – sometimes while they are still alive. In many places, dogs are being killed in full view of other terrified, caged dogs; and this takes place in public and in broad daylight. In addition, many abandoned and stolen former pets end up in this industry, and are subjected to the same cruelty. A Search Engine reveals the sickening scale of Yangju’s dog meat demand. 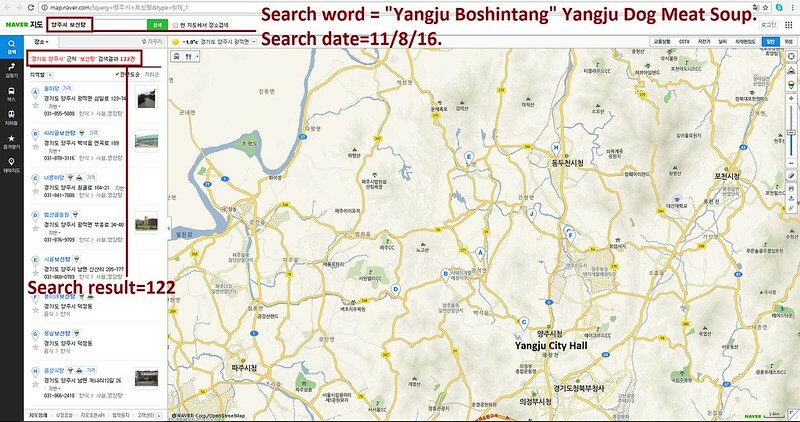 The searches resulted in: 184 Health Food Centers; and 122 restaurants in and around the city of Yangju. 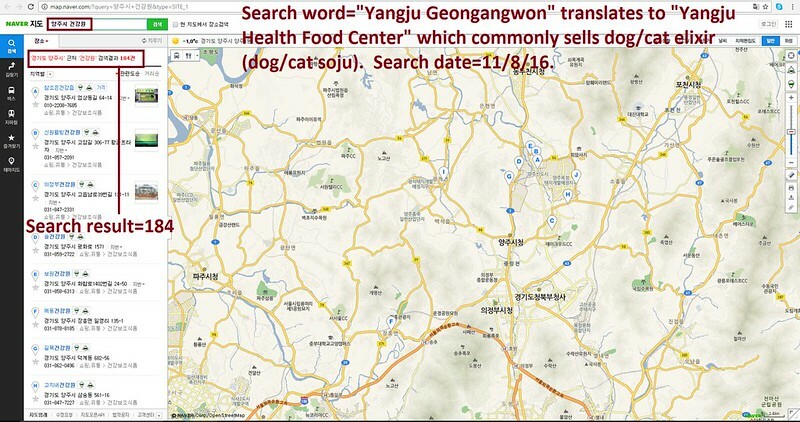 Even if half of these ‘Health’ Food Centers and restaurants serve dog and cat ‘ingredients’ in one form or another, just imagine how many dog/cat slaughterhouses must be present in and around Yangjuin order to supply all of these outlets. Henrico County Chairman Tyrone E. Nelson TODAY! No matter where you live PLEASE SHARE these actions with your friends – especially those who live in Henrico County! ce sont des démons sur la terre! NO ES POSIBLE SEGUIR PERMITIENDO COMO SOCIEDADES EN TODO EL MUNDO ESTOS CRÍMENES POR EL BENEFICIO DE UNOS CUÁNTOS, ESTO ES UNA OFENSA PARA EL MUNDO, Y NADA, ABSOLUTAMENTE NADA JUSTIFICA ESTE INFIERNO!!!! !